On June 28th, I will be celebrating my 3 years blog-anniversary and to celebrate the occasion I want to hold a huge giveaway, starting now! Today is a special day because, not only is it 1 month before the big day, it’s also my first wedding anniversary and my daughter turned 1 month yesterday, so I say it’s three good reasons to celebrate! I want the party to be huge, and to do so, we need a huge prize right? Here are the details! There will be 3 winners, with potential of a 4th one! 1st prize winners gets a 20$ shopping spree on Book Depository. 2nd prize winner gets a 15$ shopping spree on Book Depository. 3rd prize winner gets a 10$ shopping spree on Book Depository. Now if I reach 500 entries (not 500 entrants) on the Rafflecopter form, I will add a 4th winner and that person will also get a 10$ shopping spree on Book Depository. We reached 500 entries so there will be a 4th winner who gets a 10$ shopping spree on Book Depository. Entering will be super easy! Just fill the Rafflecopter form below and you’re in! You don’t need to be a follower to enter & because I want this giveaway to be BIG there will be more ways to earn extra entry than usual. Also, you might have noticed you can earn +5 entries by purchasing via my Book Depository affiliate link. No purchase necessary, don’t worry! But I am financing the blog & giveaways (including this one!) with my book depository affiliation and I thought it would only make sense to give a little extra chance to those who contributed. Your purchase placed since April 13th, 2012 are eligible. Giveaway ends June 28th, 2012. That's an easy one, I like the blogger behind the blog. Your personality really shines through in your posts and I love your enthusiasm. I agree with Carmel!! I love getting to know you. It definitely adds to the experience of reading your blog. It helps distinguish you personally against the millions of blogs out there. I love your reviews and contests. The site is such fun. Oh where to start? I love your blog for your lovely personality shines through, plus your reviews and contests are always great! Happy blogoversary! I'm a relatively new follower, but I love that you review my favorite genre! Happy blog-anniversary!!! My favorite thing about your blog is the thoughtful, well written, informative reviews. Thanks for the giveaway! I have to say I love your vlogs and your new feature "Stacking the Shelves." Thank you for taking the initiative for a new means of showcasing the books everyone received through the week. I love the reviews. I also love the video blogs especially about the baby ;). Thanks! there'll be a new one soon! I have only recently discovered your blog but I really love your Stacking the Shelves meme! Congrats on everything! Especially the little one turning one month! I enjoy your new "Stacking the Shelves" feature as well as reading your reviews. Thanks for the wonderful opportunity! Happy Anniversary! Love the reviews and giveaways and your vlogs. plus your layout it fantastic.Love the background. Happy anniversary! In your blog I like finding out about books I wouldn't have come across otherwise. My favorite thing about your blog...hm, I've been a follower since I started blogging almost 3 years ago. I love your reviews, author interviews, and lately Stacking the Shelves. You put a lot of work into your blog and it shows. Thank you so much Ivana :) I'm glad to hear it! Your blog is so personal, and I enjoy reading the reviews and participating in the Stacking the Shelves feature! Congrats on all the awesome things you have coming up! I really love your reviews and contests. I also have loved the pictures you have shared of your new baby, and hope to see more. Happy Blog Anniversary! I'll post more for sure! I love your awesome reviews ^_^ and your website layout. So cute XD!! Thank you so much for hosting the contest. cannot believe three years has pasted already. I can"t beleive it either! Happy Blogiversary, anniversary and one month of mommyhood! Hmm, what I love about your blog are the reviews, of course, but also the interviews and the way you keep us all up to date on sales/deals available ( for your fellow Canadians!) ...especially the 10% of book depository coupons ;) Here's to another 3 great years! Oh, you will be! :) I have complete and utter confidence in you! Happy Anniversary! I love the author interviews and reviews! Congrats on reaching 3 years Tynga! Thats an incredible milestone and you definitely deserve it girl! One thing that I love about your blog? Thats too hard to narrow down! I do appreciate you providing bloggers with another outlet to showcase our new books each week. Thanks for the giveaway and wishing you continued success! I love the reviews, the vlogs, and reading more about your life. I live the whole blog, but my very favorite is your vlogs. They're always fun, and I adored your belly updates and now baby updates. Congratulations on three years and here's to many more! Thanks Barbara =) I have the cuest video to share soon! I love your contests and personal posts (like about your wedding etc). Love the reviews! thanks for the giveaway! HAPPY ANNIVERSARY, TYNGA! :) Congratulations, too - that's such an amazing achievement. What do I love the most? Probably your reviews! I really enjoy all the posts on here that I read though. Thanks for everything and I wish you many more happy years of blogging! Congrats!!!!! On your anniversary, on your daughter's first month-omg SHE's cuteness-and on your blogoversary!!!! I hope BD starts shipping to your country soon! I love the new Stacking the Shelves meme! I love the atmosphere of your blog it's just fun to read your posts whether a review or a post about what's going on in your life. Thats such a great compliment Sandy, thank you! I love how you tell us about the things going in your life, and how it's not just all about books. I also like The Stacking the Shelves meme. Happy 3 year anniversary!!! More than anything, I love how you keep things real on your blog. Thanks for the giveaway! I like when you feature ebooks that are cheap/on sale. Congratulations and thanks for the big giveaway! You got it! Who doesnt like a good deal? Thanks you so much Kandice! Happy BLogoversary, and Happy anniversary! I love your reviews. The way you write each one and in a way that appeals to me even if it was a book you weren't crazy about, I find you have honest and diplomatic reviews. I love the honesty in your posts. Always appreciated & very readable. I cannot tell a lie, I love winning!!! And you have the best book giveaways here. Thanks! You're at the right place then! I love your reviews, helps me decide which books to ultimately buy. Congratulations, congratulations and congratulations, woot! I love everything! The reviews and giveaways are my favorites! Congratulations! I like the blog's design and that it's easy to use. The reviews are also great. I love your layout and the Stacking the Shelves meme! Congrats! I love it that this blog keeps me updated on the world of books! I really like how much your personality comes through in your posts. I feel like I know you just by the blog. As opposed to just oh this is Tynga's blog she has nice reviews. It's more of "This is Tynga's blog she's super fun and loves books so much, she's really enthusiastic about what she does." Congratulations on 3 years! That's really cool! I love everything about this blog, I'm not kidding! When I want to read a review this is the first place I check. Your review archive is awesome. And I love the friendly atmosphere here! Keep up the good work! I don't comment that much at all but believe me I'm here. I love everything about the Blog. Combining everything together is what makes it so informative and interesting. 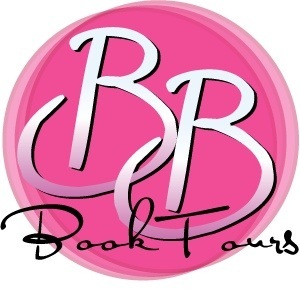 The reviews are awesome, meeting so many new Authors I'd not have known if not for your Blog. Wishing you many more anniversaries. Thank you so much Carol! I'm glad i'm getting more authors out there! I like how your personality shows through your blog. You seem like a genuine and lovely person :) I like the author features. Like what you do when you aren't writing. and the Vlogs are a nice change of pace. Congrats on three years and on the beautiful baby! Congrats on your three anniversaries Tynga! I love your blog, although my bank account does not, with the great reviews of books and authors that are just my kind of read. I also like the interviews a lot. HAHA sorry for the bank account! I discovered your blog a while ago now and it was actually the first blog I ever followed! I really enjoy the honesty of your reviews and your style. It was your introduction to the blogging world that finally inspired me to create my own blog, so thank you! That reminds me, I must grab your button! I enjoy the personal touch you bring to your blog. Various things can lead me to a blog, but I'm finding it's that personal touches of the blogger that keep me there. I like the Kindle Deal posts. I'm always looking for a good deal. Congrats on the blogoversary! I love the reviews and contests. I also like the daring you to read feature. Happy 3 year Blogoversary!!! It's incredible that you've been going so long! WOW!!! Also, very Happy 1 month birthday to your little bundle of joy!!! Enjoy every second because the months will just fly by, believe me!!! Happy Blogoversary! What a wonderful day for you! I love that you are a fellow Canadian! I love that we have the same books in common and that you are a fellow Canadian! Congrats on the blogoversary! I love how you make your posts personal and you let us see a little into your life and it's not just a blogger behind a computer writing a blog, but it's a blogger with an awesome blog! Thanks Eileen <3 ROck on! 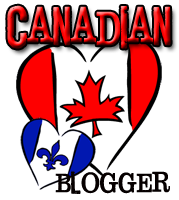 I love to support my fellow Canadian bloggers! We've got similar tastes and I've gotten plenty of books based on your reviews! I love this blog b/c you have such wonderful book reviews that cover books from all over the genres. And the giveaways are spectacular :) I also enjoy the great author interviews/posts you have. Thanks so much for all the hard work you've obviously put into this blog! It shows and it's fabulous! I love the blogger behind the blog and your personality. It shows in all your posts and it makes following you fun. This is actually the first blog that I followed and its still my favorite. Thanks for your hard work. Your blog is simply fun :) I happen to be a fan of your vlogs! Thanks for the giveaway & congrats! Oh my has it been 3 years already??? I guess I should have a 3 year giveaway too ;) Wow -- congrats chick. You know the 28th is my kidlet's birthday -- awesome day. Happy bday to your little one! We started around the same time? Awesome! Congrats on 3 years! I love your reviews! I love the reviews and og course the giveaways!!!! I really enjoy reading your reviews - love the take you get on most all of the books reviewed here. Your posts are always fun and interesting to read. Have discovered a lot of great books through here. Happy Blog Anniversary and Congrats on 3 awesome years !!! I always enjoy the author interviews, and I find that your book reviews are right on to how I feel about a story. I love the reviews particularly when they introduce me to a new, great author. I think I would say I love your reviews because you read the same books I love, so sometimes you read some I already read, sometimes you make me want to by a book and sometimes you review some books I had to read lol. SO perfect for me. I love all the author interviews and the great books that I discover through this site. Congrats on the anniversay and new baby! I love the Stacking the Shelves. Helps me decide on purchases for my high school library! Happy Blogoversary and anniversary and happy one month birthday to Lily-Ann! So many great things to celebrate! I love the Stacking Shelves, the reviews, giveaways and interviews! I like reading your reviews best I think. 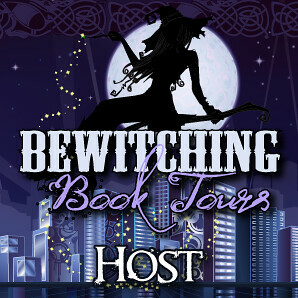 Also the snippets of your life and lovely family.I like to enter the giveaways when you host blog tours or hops. Irene Jackson onthe rafflecopter thingy. I like your blog because you keep up with all the new books coming out that usually I can't wait to read! hi tynga,,nice to meet you..
i love your blog and especially your giveaway and riview..
happy blogoversary and anneversary for your wedding..
TY! Nice to meet you too! THank you! So sad negative reviews are so rare because I cant believe anyone loves every book they read. Happy anniversary for both and that little one is ultra cute! What I love most would have to be your personality and that you always do great comprehensive reviews! I love your reviews and the special events. I know how much hard work goes into organizing. Happy Blogversary. Lot of hard work indeed, but so worth it :) ty! Oh, forgot to add that I really enjoy the "Daring You to Read..." posts. THanks Jolene :) My followers are the best!